Hertha Berlin found the going tough against FC Ingolstadt 04 in Germany's capital. 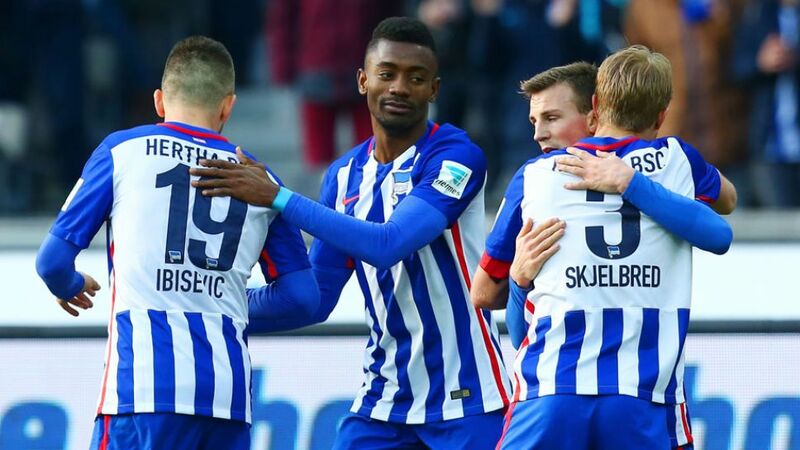 Hertha Berlin strengthened their grip on third place but were made to work hard for a 2-1 victory over FC Ingolstadt 04 on Saturday. Get the latest version of the Bundesliga app here! Fans packed into the Olympiastadion hoping to enjoy their side’s display had to settle for basking in the afternoon sun for much of the first half as Ingolstadt frustrated their hosts. Ramazan Özcan and his back four stood firm bar an early Vedad Ibisevic header that ended in the net, only for the offside flag to deny the Bosnia and Herzegovina striker the opener. Marvin Plattenhardt almost broke the deadlock two minutes before the interval, but his half-volley grazed the bar after ricocheting off team-mate Salomon Kalou. Kalou was involved more deliberately as Hertha’s perseverence finally paid off. The Ivory Coast international released the raiding Plattenhardt on the left, and his firm, low cross was expertly guided home by Genki Haraguchi. The roles were reversed shortly afterwards when Kalou doubled Hertha’s lead with a carbon-copy goal, but Lukas Hinterseer’s close-range header with 15 minutes left made it a more uncomfortable ride to the final whistle than Pal Dardai’s men would have liked. A goal and an assist for Haraguchi made him the central player in Hertha’s win. Another game, another win, another step towards the UEFA Champions League for Hertha. How good will European nights be in the Olympiastadion? Haraguchi’s goal was his first in 22 games.Hertha are unbeaten in their last nine home games.With 37 strikes this season, Hertha have already scored more goals than in the whole of the 2015/16 campaign.Hertha have not lost this season after scoring the opening goal (14 wins, two draws).The defeat ended Ingolstadt’s club record five-game unbeaten streak.